Base Group specializes in manufacturing of metal constructions for various industries. Our main competency is manual and automated welding of steel, stainless steel and aluminum. Quality of metal constructions’ manufacturing is assured by complying with widely recognised international standards for welding processes – ISO 3834-2. At clients’ request Base Group can deliver welding services according to EN 1090-2, EN 1090-3. We are certified to manufacture steel, stainless steel and aluminum industrial constructions with regards to EXC3 class. For the fast developing railway industry our procedures comply with EN 15085-2 CL1. To deliver high quality of manufacturing process we harness knowledge and experience we have gathered for more than 25 years. Our main clients are located in Northern and Western Europe as well as in Poland. Base Group delivers to the following industries: HVAC, marine, offshore, oli & gas, railway, energy, food and other. 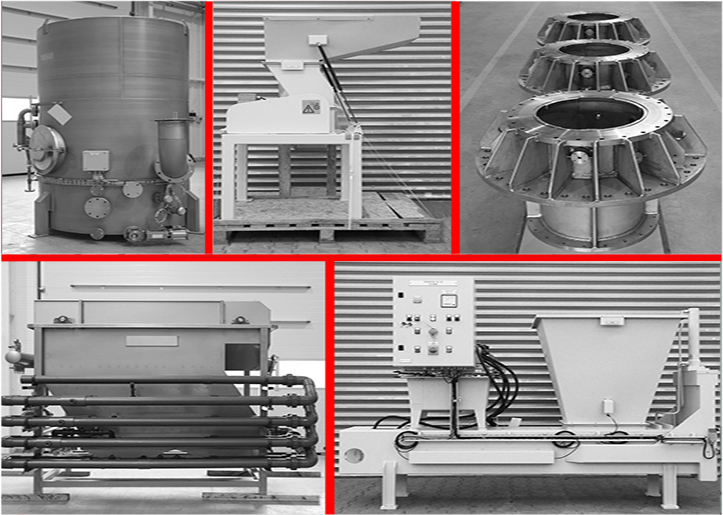 Based on drawings provided by clients, Base Group prepares and then executes production of industrial equipment made from steel, stainless steel and aluminum. We procure material, which is then cut machined, welded and assembled. Our processes are thoroughly controlled by International and European Welding Engineers and the Quality Manager. Our quality focus starts from reviewing enquiries, right selection of raw and additional materials as well as selection of proper equipment and production technology.